In June 2017, PLOS brought the hit musical, Priscilla, Queen of the Desert to Putney Arts Theatre. 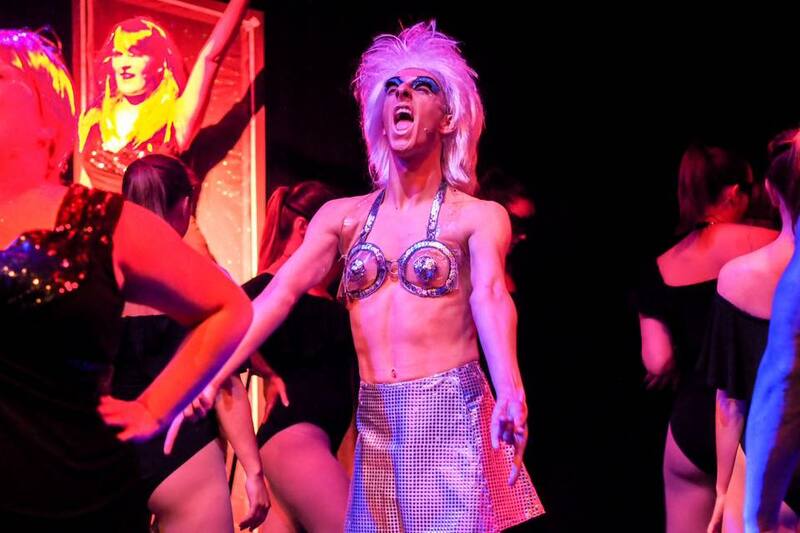 Complete with disco and drag queens from the land down under, we were going wild in the aisles from the first number! Show Week: Wednesday 31st May – Saturday 3rd June 2017, – Putney Arts Theatre. Based on the 1994 Oscar-winning movie ‘The Adventures of Priscilla, Queen of the Desert’, Priscilla, Queen of the Desert, the Musical, is the heart-warming, uplifting adventure of three friends who hop aboard a battered old bus searching for love and friendship and end up finding more than they could have ever dreamed of. The original stage production of Priscilla debuted in Australia at the Lyric Theatre, Sydney in October 2006. Having had a successful run in Sydney, the production transferred to Melbourne in 2007 and then New Zealand in 2008, before returning to Sydney for a limited engagement for its second anniversary. The Australian success of Priscilla provoked a two-year strong West End production in addition to its Bette Midler-produced Broadway debut in 2011. The production received seven Helpmann Award nominations, one Laurence Olivier Award nomination for Best New Musical and won two Tony Awards.